Conservationists in Belize are looking forward to a successful 2016 breeding season for the Yellow-headed Parrot in Rio Bravo Conservation and Management Area. The Belizean Yellow-headed Parrot (Amazona oratrix belizensis) is Belize’s only endemic bird. It is a sub species of the Yellow-headed Parrot (Amazona oratrix) which is classified as Endangered on the IUCN Red List. 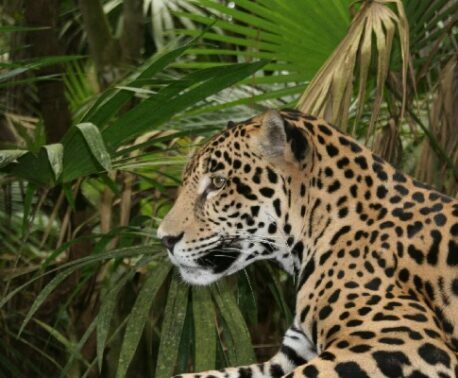 In view of the parrot’s fragile conservation status, protection measures are a top priority for Programme for Belize (PfB), a long standing partner of World Land Trust (WLT). 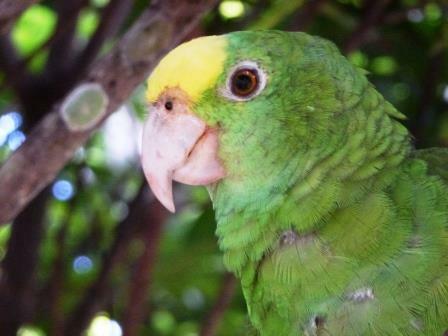 WLT launched its first conservation programme in Belize in 1989, and continues to support PfB’s efforts to protect the Yellow-headed Parrot through the Keepers of the Wild programme. WLT’s Head of Communications & Marketing, Christina Ballinger visited Rio Bravo in November 2015. While there she filmed Yellow-headed Parrots at Hill Bank’s East Gate and interviewed Vladimir Rodriguez, Manager of Hill Bank Field Station, and Ranger George Albert Tucker about these intriguing birds and their habitat. At the Rancho Pine Savannah mature pine trees provide nesting cavities for the birds, and palmetto palms provide fruit for the parrots when the chicks are hatching. The parrots also feed on the fruit of the craboo tree and the wild cashew. The birds are popular pets because they quickly learn to mimic human speech, but this makes them vulnerable to poaching. However, thanks to the efforts of PfB’s rangers, poaching in recent years has been kept to a minimum. And if nests and chicks are likely to be poached, PfB works with Belize Bird Rescue to rear the birds in captivity before they are ringed and returned to the wild. The nesting season for the Yellow-headed Parrots starts in March and rangers are currently carrying out routine searches of the savannah for nest sites. In April four students will arrive at East Gate to help the rangers monitor the nests until the end of May. Clearing the fire line. © PfB. The nesting season for the Yellow-headed Parrot coincides with the beginning of the dry season and the fire season (March through to June). For this reason PfB arranged for 23 of its staff to attend a fire prevention workshop in February 2016. The practical element of the training took place at Hill Bank Field Station’s East Gate. 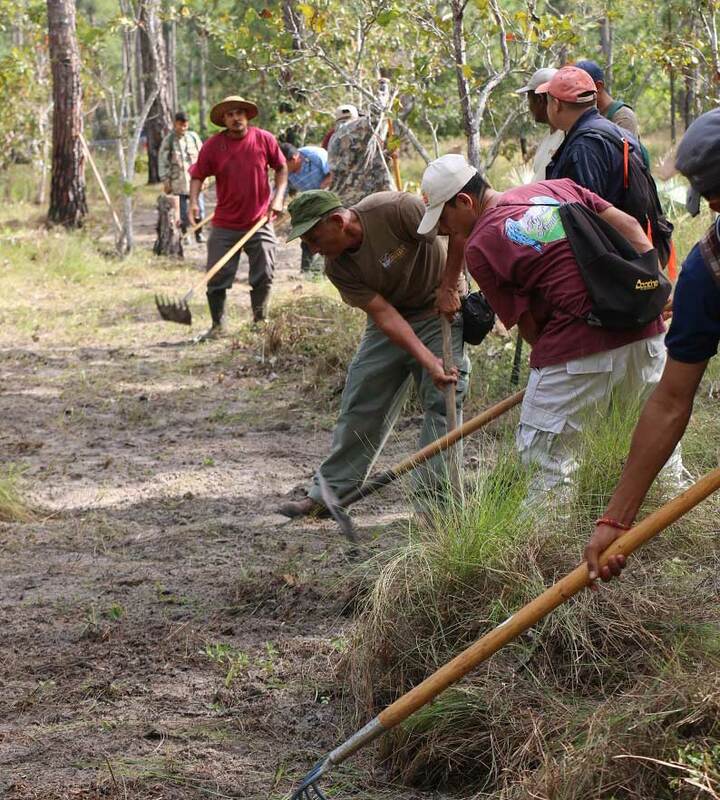 Among those attending were nine forestry staff and six rangers including Javier Sutherland, whose post is currently funded through WLT’s Keepers of the Wild programme in 2016. You can support efforts to conserve the Yellow-headed Parrot by donating to WLT’s Keepers of the Wild programme.